I understood the political context in which they were operating, when a human rights activist in the family was enough to have a business blacklisted by government. So I did not challenge this logic. Indeed at the time, I didn't have the elegant narrative of 'Protect, Respect, Remedy' of the UN Guiding Principles on Business & Human Rights (UNGP) to do so. Ten years on, as Director of the Myanmar Centre for Responsible Business, we regularly run Responsible Business 101 seminars for local businesses and more detailed workshops on how to adopt a human rights policy or establish an operational grievance mechanism. 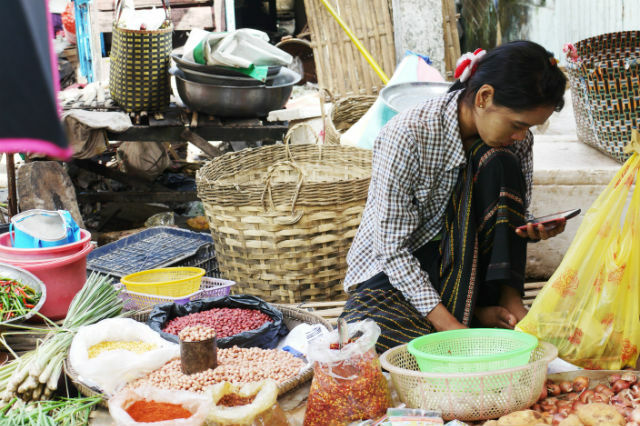 The language of “Protect, Respect and Remedy” translates into Burmese and local understanding. 'Human Rights Due Diligence' is a bit more of a stretch. As we try to create Burmese versions of core texts, we have to keep a close eye on our translators too, for whom the concepts are unfamiliar, and come burdened by complex vocabulary and no local equivalents. Our first draft translation of the UNGPs, created with the local organisation Spectrum and the support of UNOHCHR, contained a translation of '...and other government agencies' as 'agents of other governments'. In an environment where human rights groups opposing some companies can be accused of being tools of US or UK imperialism, this could lead some unfortunate misunderstandings. For the time being, most of the activity on business and human rights comes from companies and civil society organisations. The Myanmar government has not yet taken steps towards adopting a National Action Plan. In view of its weak bureaucratic and legal capacity and the changing nature of its workplace, environmental and other relevant regulations, this makes sense: Myanmar needs to sort out basic regulatory and institutional relationships first. A NAP can wait until Myanmar has developed a stronger human rights reflex in its law-making; learning from other developing countries' NAP processes would also be helpful. One of MCRB's major activities, in partnership with its co-founders IHRB and the Danish Institute for Human Rights, has been the 'Sector Wide Impact Assessments' (SWIAs). A SWIA is an innovative analysis of the actual and potential human rights impacts of particular sectors. We started with Oil and Gas and have since produced SWIAs on Tourism, ICT and soon, Mining. These assessments base themselves on the UNGPs and other international standards, and involve a combination of policy and legal analysis and field research. Such a methodology helps to assess how Myanmar's governance promotes or impedes the protection of human rights; whether companies are respecting human rights; and what remedies are available. Out of the SWIAs come recommendations to government, business and other major stakeholders. MCRB follows these up by convening capacity building workshops and dialogues bringing together different stakeholders around the key findings of each SWIA. We also pursue specific advocacy goals, including where there are regulatory gaps. For example as a result of our work on oil and gas, we successfully advocated for the explicit mention of IFC Performance Standards (which are aligned with the UNGPs) in production sharing contracts where previously the language had been vague. We have also been using the UNGPs as part of the work we have done to encourage Myanmar companies to be more transparent. MCRB's Pwint Thit Sa (Transparency in Myanmar Enterprises) project blends the Transparency in Corporate Reporting (TRAC) report by Transparency International with the Corporate Human Rights Benchmark. We use it to annually rate the websites of the 100 largest companies for policies and information they publish on anti-corruption, organisational transparency and human rights. There has been a year-on-year improvement on human rights transparency by a handful of leading companies. For example Myanmar Petroleum Resources Limited (MPRL) introduced a UNGPs-compatible operational grievance mechanism which has been a useful local model to inspire others. It is also helpful to have the in-country presence of multinational companies where the UNGP’s central concept of 'knowing and showing' is embedded in their activities. In particular, Telenor's regular sustainability briefings in which they provide details of human rights incidents about safety, child labour, and surveillance interception requests serve as a model. It would be good to see other companies, foreign and Myanmar, follow their example. It is also encouraging to see that by raising the profile of such incidents, the number of reports has declined as the message gets through to their subcontractors and others. Given the legacy of fifty years of military rule, there is still a very long way to go before the UNGPs are embedded in all company policies and practices in Myanmar. However, by studying, working with and highlighting the practices of local and foreign companies alike, MCRB is working to expand the number of companies in Myanmar who are actively seeking to know the risks they pose to human rights and show the world how they’re managing them.